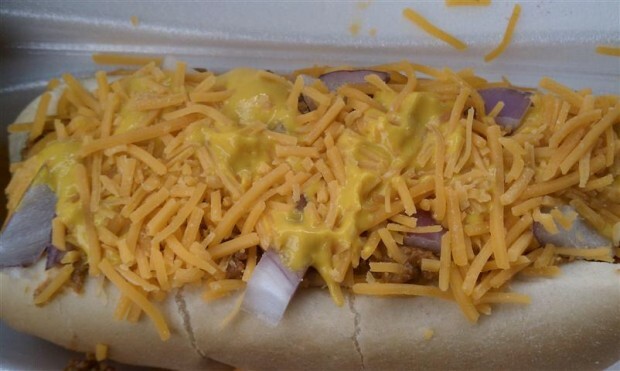 In Detroit, you don’t eat hot dogs, you eat Coney Dogs — hot dogs topped with bean-free, all-meat chili and chopped onions and mustard. Dip into the Ohio-area and they’ll put cheese on it too. Yum. Note: This ain’t a New York thing. A Toledo, Ohio version of Detroit's finest encased meat creation.